Welcome to Mark Lees Skin Care! 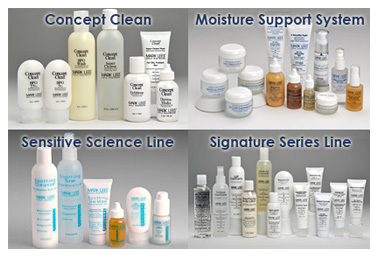 The Mark Lees system of skin care products developed from the needs of thousands of Dr. Lees' own clients who needed effective products, but had consistently experienced breakouts and irritations from many other products they had tried. Many moisturizers and other skin care and cosmetic products contain fats, oils, and waxes that can clog pores and make problem skin worse. They also often contain fragrances, color agents, and other ingredients that can irritate and cause sensitivities. At Mark Lees, we eliminate these ingredients from our formulations. Further, our products are tested in independent consumer testing laboratories by qualified dermatologists and scientists using the most scientific standards to ensure that our products are safe and very unlikely to cause irritation and do not cause clogged pores and breakouts. Mark Lees products are extremely easy to use and will take only a few minutes morning and night. We have a staff of licensed skin care professionals ready to answer your questions and help you select the right products for your individual skin. If you need help, or wish to find a specialist near you who carries our line, please call us at 1-888-627-5533 (888-MARKLEES). Our office is open Tuesday-Friday, 10 am - 6 pm, and Saturday 9 am - 2 pm Central Time.